"Hello all crypto and fintech enthusiasts! 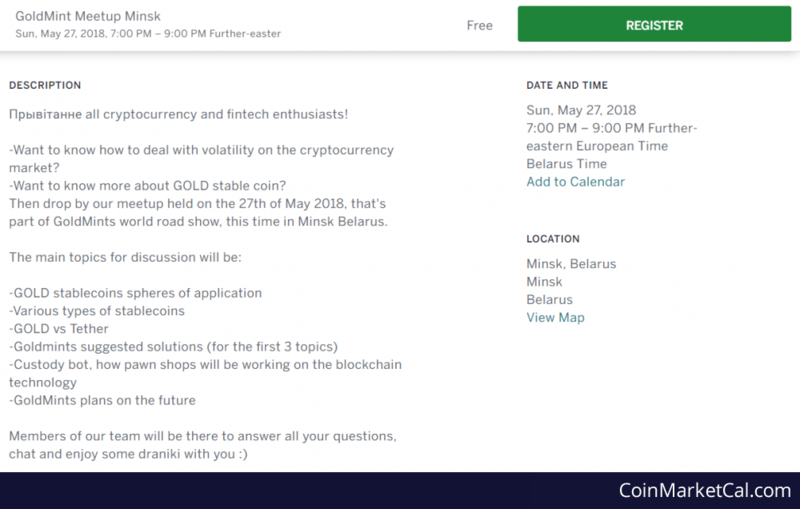 GoldMint invites you to the meetup in Minsk on the 27th of May, at 7pm! Hope to see you there!"